UPDATED: April 30, 2014, at 12:20 a.m.
Jon Imber, an artist who taught a figure drawing course at Harvard for over 25 years and whose abstract expressionist works gained critical success, died last Thursday due to complications from ALS. He was 63. Colleagues remember Imber for his energy as an artist, his attentiveness as a teacher, and his determination to continue to paint despite his diagnosis. From 1986 to 2012, Imber worked as an instructor at the Office for the Arts at Harvard, leading a weekly course at Currier House for members of the Harvard community. 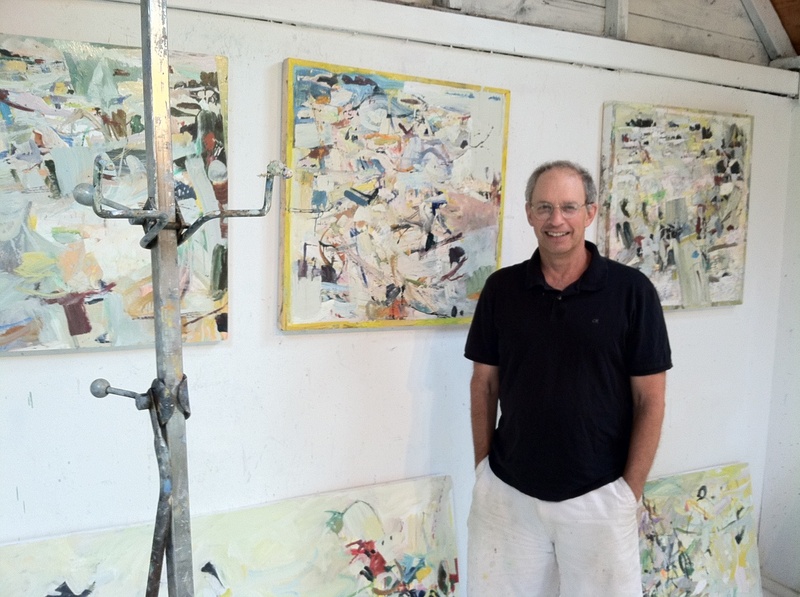 Jon Imber, pictured above in his Maine studio in 2011, passed away last Thursday, April 17, 2014, after struggling with Lou Gehrig’s Disease. OFA Director of Programs Cathleen D. McCormick, who hired Imber after taking one of his classes at the School of the Museum of Fine Arts in Boston, characterized his studio as both rigorous and welcoming. She said that Imber would often incorporate art history into his teaching, along with a good sense of humor. Heddi Siebel, one of Imber’s former colleagues, began teaching the course at Currier House this semester, and said that his instruction touched on life as well as the arts. “He taught me more than I would have ever thought about how to live bravely and die gracefully,” Siebel wrote in an email. University President Drew G. Faust similarly praised Imber’s teaching in a letter to him this January, while he was on leave due to illness. Imber’s impact extends beyond his students to the larger Currier House community, according to Currier House Administrator Patricia G. Pepper. She said that a range of Currier affiliates, from students to dining hall workers, took the course. Pepper said that Imber enjoyed having long conversations with students in the House dining hall, and often brought his own art installations to Currier to give back to the community.